What is credit? How do I start building credit? What’s a credit score? If you didn’t get a full breakdown in high school, college, or from your parents on what credit is, how to establish and build credit, maintain your credit standing, and check your credit score, you’re in luck. We’ve got you covered. Don’t be scared if you have bad credit and need help recovering. This blog will give you tips and tricks to get your credit score back on track. Per the dictionary, credit is “the ability of a customer to obtain goods or services before payment, based on trust that payment will be made in the future.” Per life, credit is the ball you’re chained to until you pay that purchase off and then you’re free until you buy something else you can’t afford. (Don’t worry; we’re not judging. We all do it.) Your ability to pay off what you buy is important, but the most important thing to do is to pay your debts ON TIME! If you only take away one thing from this blog, make sure that’s the part you take away. Credit is an important part of your future. It’s required to make major life purchases such as a home, a car or maybe a yacht if you’re thriving like that. 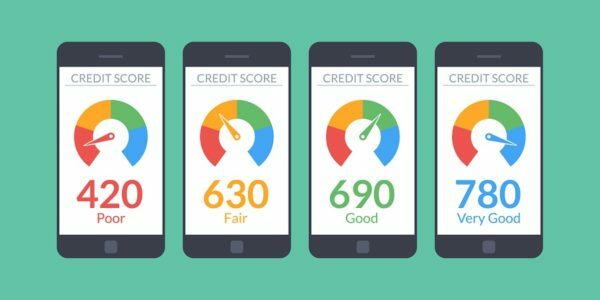 We’re sure you know that “good credit” is crucial to these milestone purchases, but what is a good credit score? How is a good or bad credit score determined? First, let’s look at what makes up your FICO credit score. Your payment history is 35%, debt owed is 10%, length of history is 15%, and credit mix and new credit are both 10% of your FICO score. Your FICO credit score is based off a few different aspects of your finances and each of those aspects is assigned a percent of the importance to the overall score. There are many ways to build credit including student and auto loans, rent, mortgages, and utilities. Credit cards are your best bet when you’re ready to start building credit. First, you have to establish credit. We know most of you reading know what credit is and maybe have multiple credit cards, rent, and an auto loan that you’re paying but bear with us here. The best way to start building credit is with a credit card. When you want to start building credit, you have a few options. You can apply for a secured credit card, an unsecured credit card, or become an authorized user on a family member’s card. Secured credit cards are backed by money you put towards the account when you first open the card. The amount you deposit is usually equal to your credit card’s limit. For example, if you put $500 on the account, you can’t spend more than $500 on that card. It’s a way for banks to mitigate risk and it’s a great way for you to learn to how to budget while building credit. Unsecured credit cards are harder to qualify for without any credit score because they usually require you to have some sort of credit history for approval. These types of cards are your typical cards with a credit limit based on your trustworthiness as a borrower. However, you can co-sign with someone who has good credit to qualify for an unsecured credit card and start building credit that way. You can become an authorized user on a family member’s credit card, so be nice to your parents, and they can help you build credit. If you’re an authorized user, you’re responsible for paying what you owe, but if you don’t make the payment, it won’t impact your credit score. This is also something you can do and not even use it and still build credit. You can build credit off their ability to pay their cards, so choose carefully. Don’t get signed on to someone else’s poor credit while trying to build your own. As a credit beginner, there are plenty of options for you to start building credit. If you don’t have the credit on your own to qualify, make sure that you’re building relationships with a bank as well. Open a checking and savings account because many credit cards and accounts will ask for your bank account numbers to check your bank standing before approving you for a credit card. Your checking and saving accounts won’t help you build credit, but they do act as a reference point for credit applications. Once you’ve gotten started and have a credit card, you’ll want to start building your credit. Building good credit isn’t instantaneous. It takes around 6 months of on-time payments to start establishing credit. There’s more to it than just paying your debts on time, and there are more ways to build credit outside of a credit card. Student Loan repayment is a common way to build credit. Chances are if you went to college, whether you graduated or not, you probably have student loans. Student loans are reported to credit bureaus (more about these later), so paying off a student loan is great for your credit score. Car payments and auto loans are great ways to build credit. Unless you live somewhere like New York City, chances are you need a car to get around and you likely have a car payment. Paying off your car payment on time every month is important to continue building credit. A credit-builder loan is designed to help people start to build or improve their credit. In order to qualify for this type of loan, you have to have enough income to make payments. The amount you borrow, instead of going toward a purchase, is put into a savings account that you usually can’t access until you’ve completely repaid the loan. Don’t go crazy with applying for too many things at once. Every application generates an inquiry on your credit report and when there’s too many at once, that can harm your credit score. You have to maintain and create good habits when it comes to your credit score. Like anything in life, it requires work. Here are some great tips to maintain your credit score. Small Purchases are Key: Don’t spend more than you can afford to pay off. You don’t need a $200 jacket, $300 pair of shoes, and a $100 worth of Chipotle on your Starbucks salary. None of that is justifiable, unless it’s Beyoncé concert tickets! Don’t spend more than you need to. Keep Balances Low: Use your credit card for small things you can pay off monthly like gasoline or groceries. We recommend paying off your card balance every month so you don’t build up interest. The bank just wants to know that you can pay your debts and you build credit when you show you’re reliable and make payments on time. Pay more than the Minimum: Always pay more than the suggested minimum on your credit cards (if possible pay it all off). This step is more preemptive than anything. The amount you pay off doesn’t impact your credit score, but it’s good to pay more than necessary to be sure you’re paying your debt off. Don’t Open Too Many Accounts: Once you have a credit score, you can start qualifying for more credit card accounts, bigger purchases, a higher credit limit on your cards, and so on. The possibilities are endless, but once you get a credit card, other banks and cards will bombard you with new options. (You know the “Why are you still single” interrogation? Yea, it’s like that.) Don’t let this get away from you. Continue to make sure that you’re not spending more than you can afford. Pay ALL Bills on Time: Set a reminder on your phone or put a note in your calendar for the day your bills are due so you don’t miss the due date. You might not think your bills and rent would be something that affects your credit score, but it does. Make sure that you’re paying for your Netflix and Hulu accounts, also your necessary bills like your electric, phone, and water bills, on time. Discipline is key! Keep Accounts Open: A determining factor of your credit score is the length of history you have on your accounts, so don’t close accounts just because you’ve paid them off. Credit cards are a long-term relationship so do what you can to keep those accounts feeling loved. Repeat: Make sure that you keep up these good habits. Pay your bills on time, don’t open too many accounts, don’t spend too much, and keep your balances low. Repeating these habits will become standard in your life and you’ll never have to worry about a missed payment. With an extensive credit history and good credit score, your chances of qualifying for a loan will be much higher. The milestone of buying a home is intimidating and can be overwhelming, but when you have good credit, it can be much simpler. How often should you check your score? Where should you go to check your score? The common consensus is to check your credit score annually. However, if you’re making a significant purchase or taking out a loan, it’s best to check your credit score before the purchase to have an idea of what your score is. Another reason to check more than once a year would be if you’re building your credit. Remember, you won’t have a solid credit score right away. It takes a minimum of 6 months to have an accurate portrayal of your credit. If you’ve been building credit for years, you can see changes to your score monthly depending on your purchases, missed payments, or unexpected circumstances. The big three credit bureaus are Equifax, Experian, and TransUnion. These three do not communicate with one another so there may be differences in your score on each site, so it’s best to check them all at the same time to give yourself an idea of what your score is. Another option is Credit.com. They offer a free credit check that’s updated every two weeks. Credit is a symbol of your financial responsibility; look at credit as a grade of your reliability and trustworthiness with money and your ability to pay your debts back. When banks and lenders see a high or good credit score, they’re more likely to approve a mortgage, auto loan, or credit card. When your score is lower, they could see you as a risk and you won’t be guaranteed for the purchase or loan you’d like. Bad credit can bleed into other parts of your life. 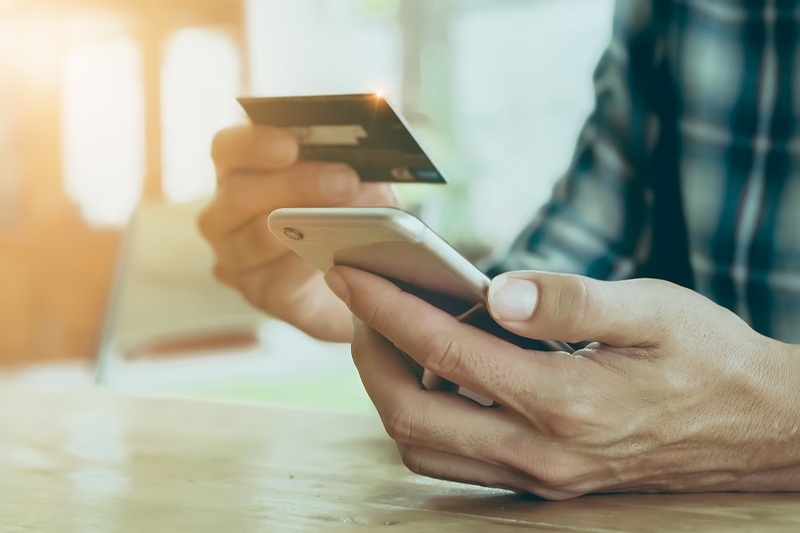 Apartments and landlords may not accept you as a possible renter, or your cell phone provider may ask for extra money down to open your account. The moral of the story is credit is crucial to your future. However, if you have a “bad” credit score and follow these tips you will be well on your way to putting your credit in the green again. Be responsible. Don’t spend outside of your income. Check your score regularly. Pay your bills on time. 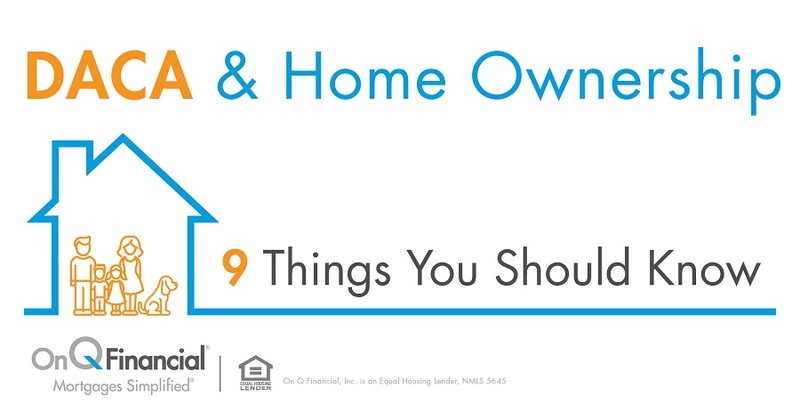 Contact an On Q mortgage expert or visit www.onqfinancial.com once you’re ready to buy a home or if you’re not sure where to start. We’re here to help you every step of the way and want to make sure that you have everything you need to have a simple and easy mortgage process.